The autumn colors around here just make my eyes twinkle each time I catch a glimpse of a fiery red tree out of the corner of my eye. Or orange. Or yellow. Driving down our street, there is a bend where all you can see on either side is a Crayola box of trees (pretend they have one of only reds, orange, yellow & browns… they probably do) and leaves fluttering across the road. So gorgeous. I kick myself when each time we leave the house I realize I forgot the camera. I will attempt to catch some more pictures before all the pretty trees are bare. We did not get a very good fall here. It is my favorite season so I was pretty sad about it. 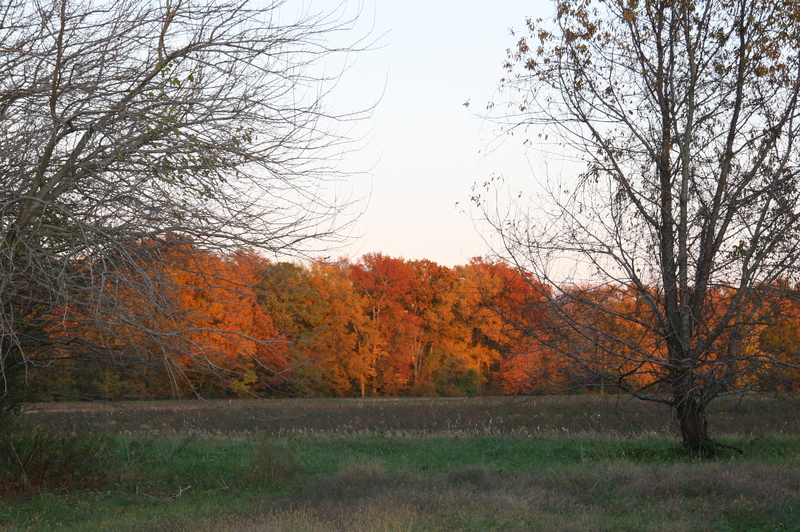 It did finally come here though – rather late and not as nice, but I enjoyed the colors we did get! Not as much reds as usual! What a beautiful time of year! Like I said, my favorite season!! !